this great baked FRENCH TOAST dish to greater heights. was devoured after our berry smoothie cocktails. Who else spoils his tummy to no end? to his Birthday with all this natural goodness. a generous sprinkle of cinnamon...all cascaded by water to thin out the smoothie. baked and spirited French toast with Amaretto. 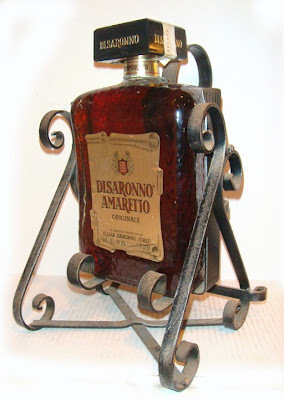 We had yet to re-use our gifted bottle of Disaronno 'originale'. just be the ticket to spice up his celebratory breakfast. how does that sound for an embellished lean breakfast "? He nodded with smiling enthusiasm. it had become way too close to lunch time. Therefore, by default, it fantastically becomes 'Brunch'. I would let Hubby help out with the chores. Hence, it became an all around win win situation. there's only one DISARONNO 'originale' label. It is now produced in Saronno, Italy...where the original Sicilian recipe has been carried on...unchanged since 1525.
apricot kernel oil, almond shell casing, absolute alcohol, burnt sugar...and pure essences of seventeen selected herbs and fruits. Strangely, this liquor does not apparently contain the almond itself. Curious where else this bittersweet liquor can be used? They are certainly enhanced with this aroma. Amaretto may be served neat or on the rocks. Many popular mixed drinks are created with DiSaronno...including adding it to spike delicious coffee. (at least for my needs) ...in CULINARY uses. 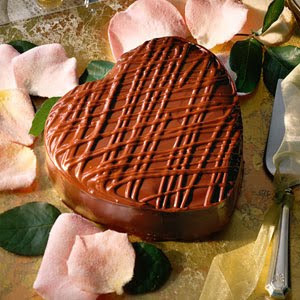 Amaretto will accentuate the ultimate outcome of your recipe. Skip the hefty calories...bake your toast instead. Prepare a shallow baking pan covered with parchment paper.
. In a large bowl...beat the eggs together with the orange concentrate, AMARETTO liquor and vanilla.
. Soak each bread slice individually and generously with the liquid in order to allow each slice to be absorbed very well.
. Place bread slices onto the baking pan.
. Pour the remaining egg liquid slowly over the bread so that it penetrates properly.
. Sprinkle each slice with the coarse sugar.
. First, bake the bread for 15 minutes...then take out of oven to flip them over...and bake further for another 10 minutes. Take the pan out of the oven.
. Meanwhile, start washing and preparing the cut fruit garnish.
. Plate the 'French Toast' by cutting up the bread slices as you wish with an optional cinnamon sprinkle along with the cut fruit on and to the side of the toast. cold Espresso Coffee AMARETTO Latté. In a blender...crush and blend until a smooth 'granita' consistancy.
. Add a little milk to the blender in order to liquify the coffee mix for easier pouring.
. Pour the mix into two very big glasses.
. Continue pouring the remainder of the milk equally between both glasses. Happy Birthday my very sweet Amore.